Major League Baseball's Opening Day is a holiday filled with hyperbole. Rookies who homer during their inaugural game demonstrate they are the real deal. Fans claim that kid has the best swing since [insert your childhood idol's name here]. Free agent closers who blow a sizeable lead in the bottom of the ninth are garbage. Those same fans are ready to run the multi-million dollar hurler out of town after a handful of pitches. But I would not change it for the world. For one day, all seems right with the world. Of course, if your team loses, the season is down the drain. Today, all 30 franchises had games scheduled on the first day of the season. Believe it or not, that's a feat that hasn't happened since 1968. But Mother Nature interfered. 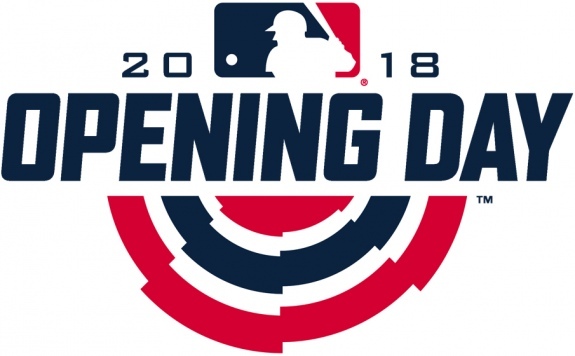 Two games were postponed: the Pittsburgh Pirates and Detroit Tigers at Comerica Park, and the Washington Nationals and Cincinnati Reds at Great American Ballpark. 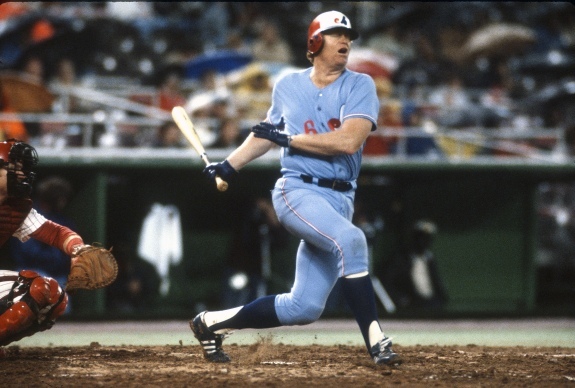 Rusty Staub played 23 seasons and hit 292 career home runs. Before games began, baseball received sad news. Daniel "Rusty" Staub passed away just days before his 74th birthday. A veteran of 23 seasons, Staub played for the Houston Astros, Montreal Expos, New York Mets, Detroit Tigers and Texas Rangers. Staub, while popular on the field, was well known for his charitable efforts off of the field. Ian Happ belted the first pitch of the 2018 season for a home run. He would finish the day 1-for-5 with three strikeouts. Ian Happ, the Chicago Cubs leadoff hitter, hammered the first pitch of 2018 into the left field seats. 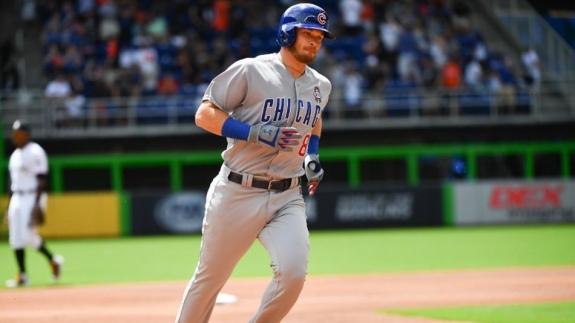 The Cubs defeated the Miami Marlins in Florida, 8-4. Power was not a problem in Kansas City. The Chicago White Sox slugged six home runs during the opener at Kaufman Stadium. Chicago's Matt Davidson socked three long balls while plating five runs this evening. Tim Anderson belted two, and Jose Abreu added one more. Davidson became the fourth player in MLB history to hit three home runs on Opening Day (Tuffy Rhodes, 1994; George Bell, 1998; and Dimitri Young, 2005). The White Sox defeated the Kansas City Royals, 14-7. The six Opening Day homers by the White Sox equaled the mark set by the 1986 New York Mets. The Milwaukee Brewers needed 12 innings to beat the San Diego Padres on the road, 2-1. At Camden Yards, the Baltimore Orioles defeated the Minnesota Twins, 3-2. Finally, the Oakland Athletics broke a 5-5 tie in the bottom of the 11th to secure a one-run win, 6-5. At home in Dodger Stadium, Clayton Kershaw pitched six innings and scattered eight hit, but surrendered the lone run of the game to on a solo blast by Joe Panik. The San Francisco Giants beat the Los Angeles Dodgers, 1-0.